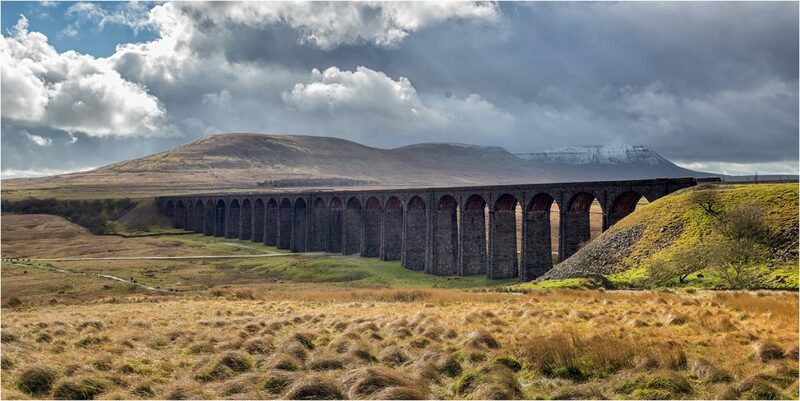 North of Ingleton, the B6255 climbs to a height of over 300m as it passes between the mountains of Ingleborough and Whernside. 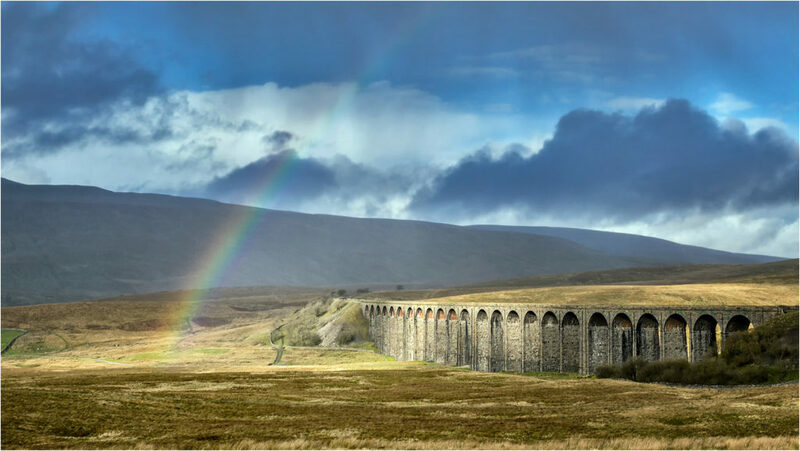 The most notable feature of this moorland pass is the viaduct at Ribblehead on the Settle to Carlisle railway. 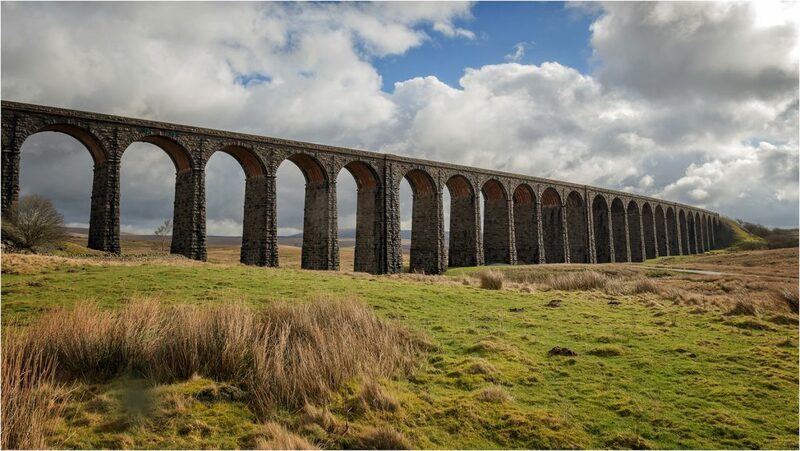 The viaduct has 24 arches and is 400m long and 32m high. It was constructed between 1870 and 1874 by a workforce of about 1000 men who were housed in temporary camps close to the viaduct. About 100 workers died during the construction from industrial accidents and smallpox. 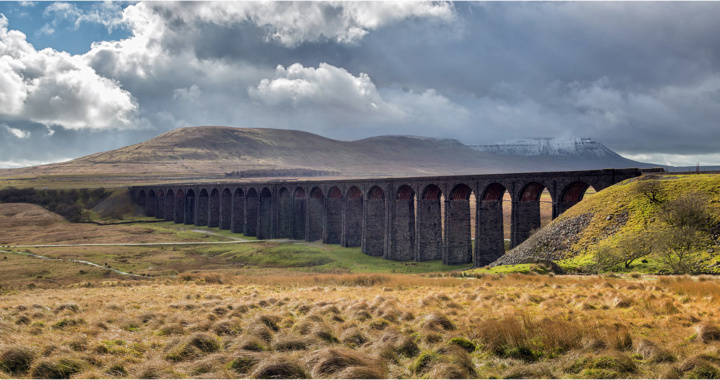 Today, all that remain of the camps are some mounds covered with grass, but the viaduct makes an impressive sight backed as it is by the highest mountains in the Yorkshire Dales. If travelling from Ingleton, take the B6255 north towards Hawes. As the road reaches its highest point and the viaduct comes into sight on the left, there is space to park on the right side of the road. Further on, parking is available close to the Station Inn and at the junction with the B6479 which branches off to Horton-in-Ribblesdale. The viaduct can be reached by a short walk from either of these latter parking spots. Posted in Yorkshire and tagged Moorland.